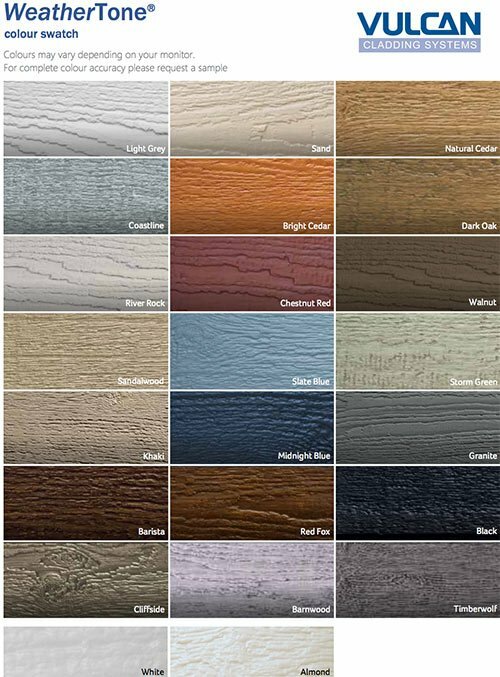 WeatherTone® is a composite timber cladding system which provides the look and feel of timber cladding without the installation and maintenance problems associated with real wood. It is stable and colourfast – a truly modern construction material. Planks are 3660mm long (12’), available in up to 17 colour options in 4 styles. strong and dimensionally stable – will not crack, dent, split or warp. 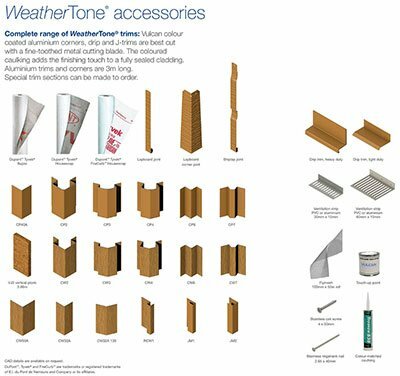 WeatherTone® is made from premium cedar and maple fibres (using the entire tree), and combined with a 1.5% mix of resin, wax and alum, and compressed under extreme heat and pressure. The surface treatment consists of 5 separate coats of acrylic paint (environmentally safe water-based formula) baked on at high temperature. 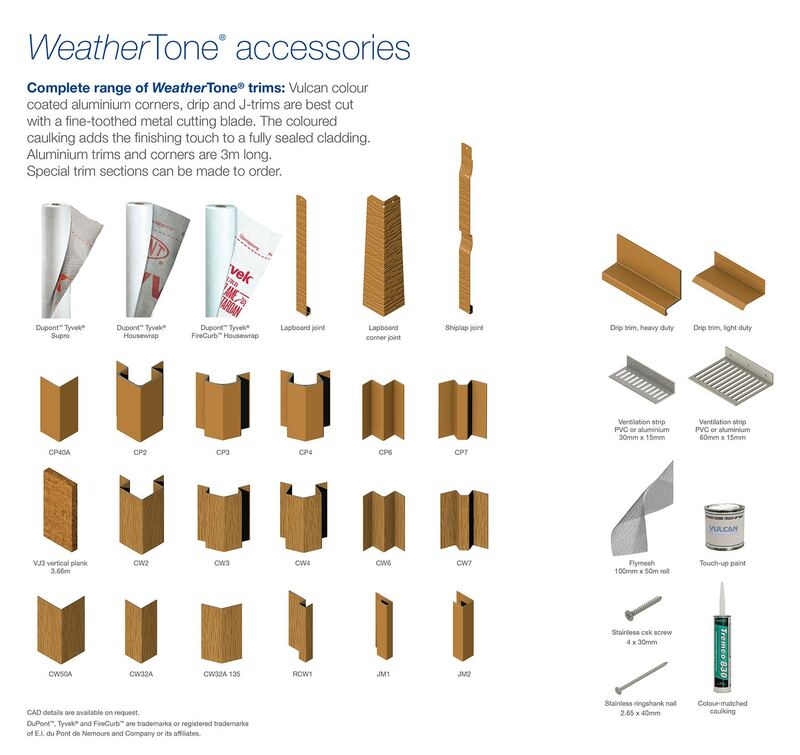 WeatherTone® is composite timber and therefore must be stored correctly on site: Immediately upon delivery the pallet must be placed in a sheltered and ventilated area out of direct sunlight. All polythene wrapping must be removed. Easy to fit, using ordinary carpenters’ tools. Battening and breathable membranes must be used, providing a fully ventilated cavity, allowing the cladding and the building to breathe. See our installation details here. Vulcan can assist with any unusual details or other advice. The beauty of system is… no site painting and no re-painting. A twice yearly wash should be carried out using warm water and mild household detergent, followed by a rinse with clean water. 5 year 100% labour and materials warranty; limited 10 year warranty on the factory paint finish & substrate, subject to correct installation and cleaning. For full warranty information please contact Vulcan sales office.